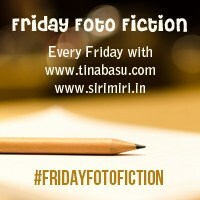 This story is written as part of Friday Foto Fiction. 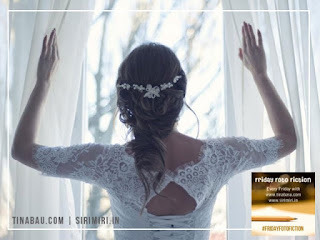 It is a Weekly Blog Hop to celebrate fiction writing co-hosted by Tina & Mayuri. They give a photo prompt every week and participants need to write a flash fiction based on the photo in 100-150 words. She had waited for this day all her life. Born after a painful wait of many years, she was the apple of her parents' eyes. They wouldn’t let out of their sight even for a day. She yearned for the camps, overnight trips and all the fun her friends had in school days. She was torn between the desire to explore the world and having to hurt her parents to do that. This marriage was her ticket. Thousands of miles from here, a new country, different culture it was just perfect. Brian wasn’t a bad choice either. wishing her great luck, my parents were sper protective like this and I wasn't allowed all that too. But when I moved to another city for studies, they became like friends. Thanks for joining #FridayFotoFiction. Thank you Tina, I think many of us have protective parents and we deal with it in our own ways. Thanks for visiting the blog. This is the story of so many Indian girls I know. Such a great take on the prompt, Gayatri. Loved it! True, many of us have experience it. Thanks for visiting the blog and taking time to post your thoughts. Marriage itself ushers in awhole new world for bride... and couple it with the different country and different set up...its adventerous! Thanks Anagha for visiting the blog and taking time to post your thoughts. Marriage is indeed an adventure. That's a great take on the prompt! Marriage can be a solution to many things :D Hopefully she finds a supportive partner too. Thanks Neha, marriage can be a solution to many things but it may introduce new problems too ;). 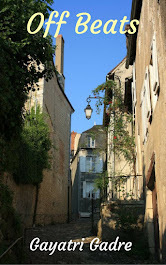 Thanks for visiting the blog and taking time to post your thoughts. Thanks Zainab for your kind words and for visiting the blog. Thanks Monika, I will :).